The Huawei P10 looks to be a great phone you'll love if you're upgrading from a two year old handset, but not much has changed here to keep true Huawei fans thrilled by the flagship line. Huawei has been making consistently great phones for a number of years now, yet has struggled to establish itself as a household name in western markets – and its latest flagship, the Huawei P10, offers a glimpse as to why that’s the case. The Huawei P10 is a culmination of everything the company has been doing right, with a few minor tweaks from the P9 to make sure it keeps up with the big guns such as Apple and Samsung. 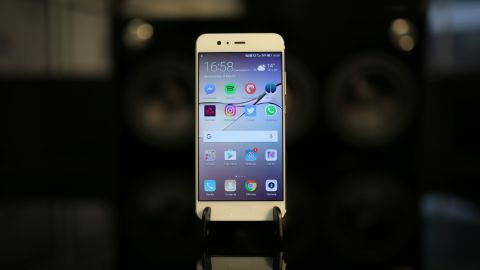 But they are minor tweaks, and the P10 is a limited upgrade – and if you're already running a recent phone from the company you may not be inspired to upgrade, although you might want to check out the slightly larger and better-specced Huawei P10 Plus instead. The Huawei P10 is now out in the UK and Australia, and it wasn't a cheap device at launch. It originally cost £569.99/AU$899, but we've now seen the device drop down a lot. In the UK we've seen it as low as £350 with monthly deals starting off at less than £30 a month for 1GB deals. Huawei is also selling the P10 in Australia too, but it still costs around AU$899 from Optus, Vodafone and Virgin Mobile. We can expect to see the price drop even further now the follow up Huawei P20 is heavily rumored and may even launch at MWC 2018. Video our video of the Huawei P10 hands-on below. You won't be able to buy this phone in the US, however, and it's not currently clear why the company isn't launching the P10 there. If you're in the US you may want to seek out an imported model, as we expect it to work with AT&T and T-Mobile, but it probably won't work with Verizon and Sprint. The fingerprint scanner on the Huawei P10 is a big highlight of this phone. This is the first time Huawei has put its security scanner on the front of the phone for a few iterations. It sits just below the screen, although despite it looking like the home key on a Samsung device you can’t press this down, as it’s not a button. There are no capacitive keys on the front of the phone either; instead navigation between screens and apps is all controlled through the fingerprint sensor. Huawei says this is to try and create a more streamlined design – something it calls 'organic minimalism'. To move around the interface you’ll need to push down on the fingerprint sensor for around a second, but to go back one step you’ll just tap it quickly. You can also swipe to the right to open the previous apps screen. When you first pick up the P10 and try to use this, it feels convoluted. After a week of use, we found it became much easier to understand, and actually a little faster than moving between three different keys at the bottom of your phone, as on other devices. Just be warned, you’ll likely spend your first few days getting frustrated, as you’ve tapped the button to go to your home screen but instead find yourself returning to a web page. As with its other phones Huawei is putting a big focus on the camera for the P10. There’s a dual camera setup on the rear of the P10 – that’s a 20MP monochrome sensor working in tandem with a 12MP color shooter. Images are taken on both cameras and the phone combines both – the black and white sensor is claimed to improve detail in the image, while the 12MP sensor captures the color. We’ve found that in good lighting the P10’s camera is better than the P9’s, but it’s not doing anything remarkably different. There’s also a new Leica-branded Portrait mode, which improves facial tracking and includes a beautification mode – we’ll tell you more about this in the upcoming camera section. The Huawei P10 looks like an iPhone 6S – there’s no escaping that. It’s striking how similar the design of the P10 is to the iPhone 6S, enough so that we’ve had many people mistake the device for an iPhone. If you’re a fan of the iPhone design but not Apple’s iOS, the Huawei P10 could well be a great buy for you. Despite looking like Apple’s device, much of the design language on the P10 is also similar to the Huawei P9. It’s a slightly more comfortable phone to use than that phone, thanks to rounded corners that make it a touch more comfortable in the hand. The power button is slightly indented, on the right-hand side of the phone, and feels different enough to the volume rocker that you won’t confuse the two when the phone’s in your pocket. Along the bottom edge of the phone sit the single speaker driver, the USB-C port and the 3.5mm headphone jack. Huawei is keeping the manual headphone jack for now, unlike some of the competition, so you’ll be able to continue using wired headphones with this phone. The back of the phone is a full-metal unibody once again, but this time there are a few different effects to choose from. Huawei has added two 'dazzling' color options to the range for the Huawei P10, which give a reflective metal effect and look great. The technology behind this is called 'Hyper Diamond Cut'; it means you won’t leave any fingerprints on the back of the phone, and it will also look beautiful from afar. The phone pictured throughout this review doesn't sport the 'Hyper Diamond Cut' finish, unfortunately. The regular metal Huawei P10 looks a little boring compared to the new dazzling version, but it does come in five color options. These are black, green, silver, gold and rose gold. Huawei is also included a White Ceramic version, which is still made of metal but comes with a ceramic-effect finish on top. If you’re upgrading to the Huawei P10 we certainly think you’ll be taken with either the Dazzling Blue or Dazzling Gold options, as each looks quite different to anything else you can buy right now. While we’re not reviewing either of the ‘Dazzling’ options, but we have had the chance to hold them and they look and feel very nice indeed. The design of the Huawei P10 does feel a little slicker than previous Huawei phones, and a better overall package. It’s easy to hold this device – the Huawei Mate 9 can be unwieldy for some. But we’ll say it again… it’s really hard to shake the impression that this phone looks very like an iPhone. Huawei has opted for a Full HD display on the P10, unlike competition from LG and Samsung that have QHD panels. And just a day after the P10 was announced, Sony showed off its brand new 4K panel phone, which offers a far better resolution than the P10. Why Huawei has decided not to update the panel isn’t totally clear – we don’t think it’s a particularly bad thing, but if you do want a higher resolution you’ll want to buy the Huawei P10 Plus, which features a QHD resolution panel. The screen is much the same as we saw on the Huawei P9, which we were mostly pretty happy with. It’s a touch smaller at 5.1 inches - the Huawei P9 was 5.2 inches. You’ll be able to reach all corners of the display without stretching out your fingers. You may sometimes have to use both hands to use a particular feature, but it’s a comfortable experience. The panel itself offers 432 pixels per inch, which means everything you watch on here looks sharp, despite it not being a QHD panel. We also found the display to be super-bright, which is great if you’re often using your phone in strong sunlight.